Soldier. Summoner. Saint. Alina Starkov's power has grown, but not without a price. She is the Sun Summoner -- hunted across the True Sea, haunted by the lives she took on the Shadow Fold. But she and Mal can't outrun their enemies for long. 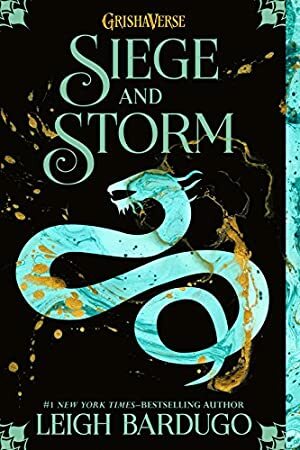 But as the truth of Alina's destiny unfolds, she slips deeper into the Darkling's deadly game of forbidden magic, and further away from her humanity. To save her country, Alina will have to choose between her power and the love she thought would always be her shelter. No victory can come without sacrifice -- and only she can face the oncoming storm. We started tracking this book on July 2, 2013. The price of this book has changed 24 times in the past 2,121 days. The lowest price to date was $2.99 last reached on November 23, 2018. The highest price to date was $14.23 last reached on October 12, 2015. This book has been $14.23 one time since we started tracking it.